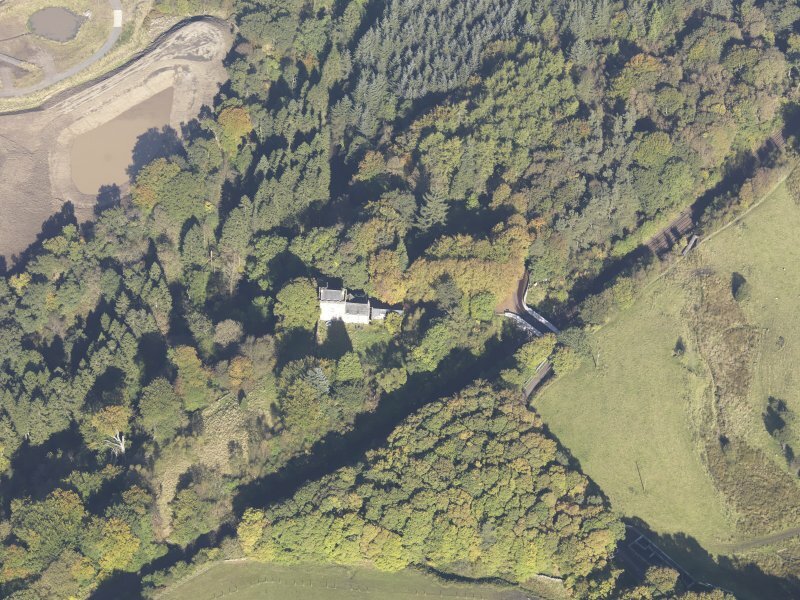 Oblique aerial view of Castlecary Castle, taken from the SSW. 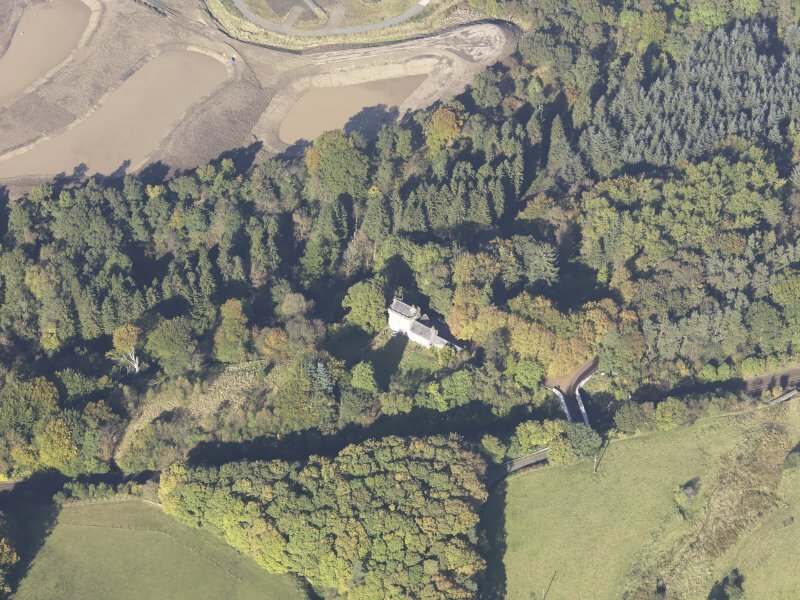 Oblique aerial view of Castlecary Castle, taken from the ESE. 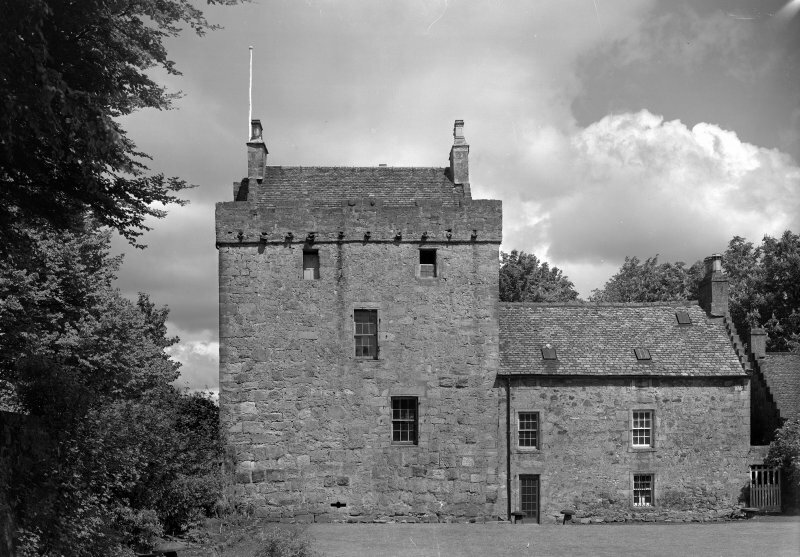 View of Castlecary Castle from SE. View of Castlecary Castle from SW.
Oblique aerial view of Castlecary Castle, taken from the SSE. 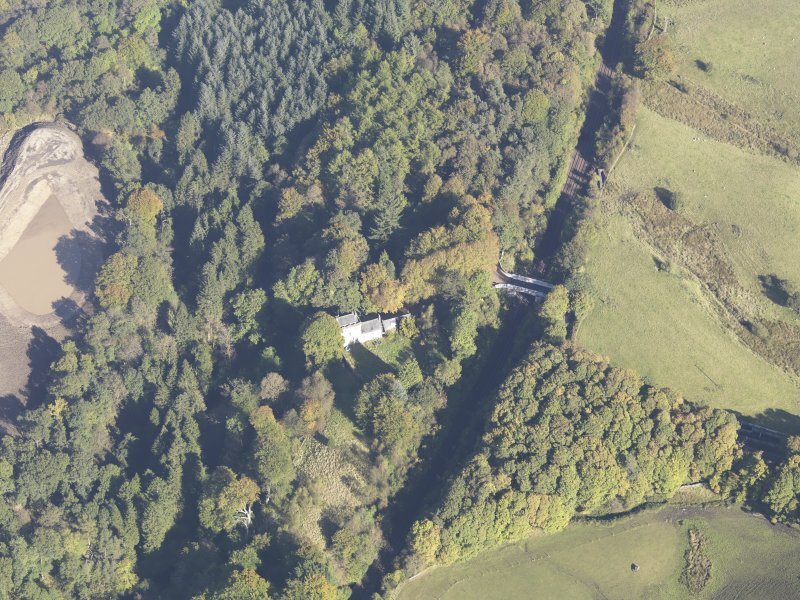 Oblique aerial view of Castlecary Castle, taken from the SE. 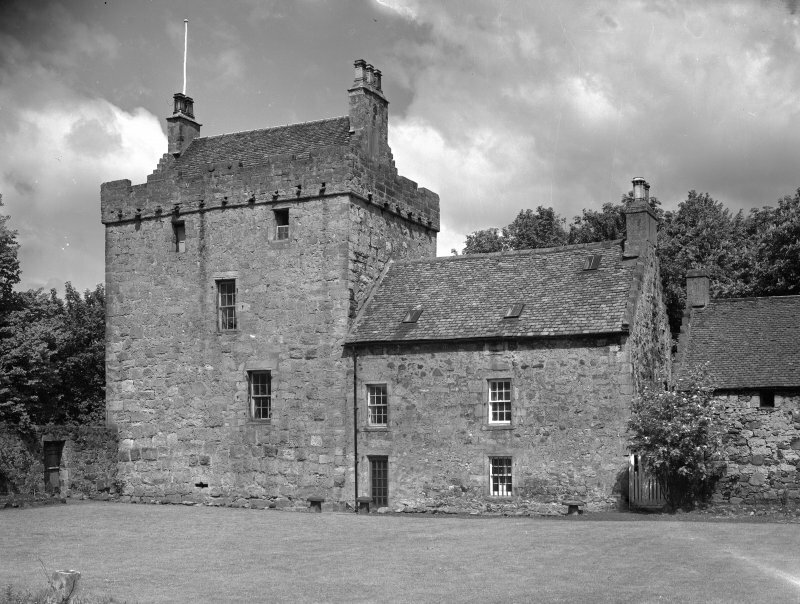 The tower and eastern range have been restored, and are in use as a dwelling house. Only the lower portion of the western courtyard wall appears to be an original feature. Visited by OS August 1959 and April 1967. 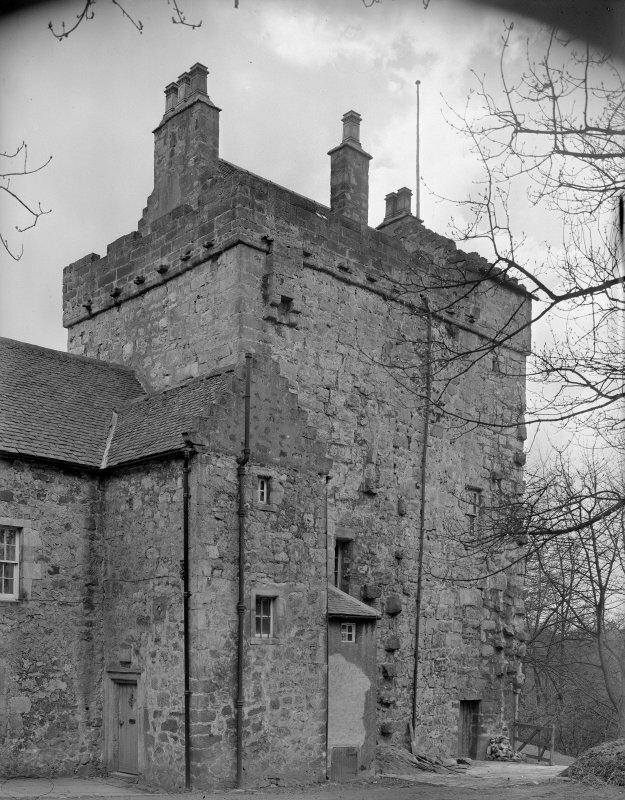 Fifteenth-century tower-house with 17th-century additions, possibly planned as an L-shaped building but not completed; it incorporates much reused Roman masonry. NS 7867 7752. 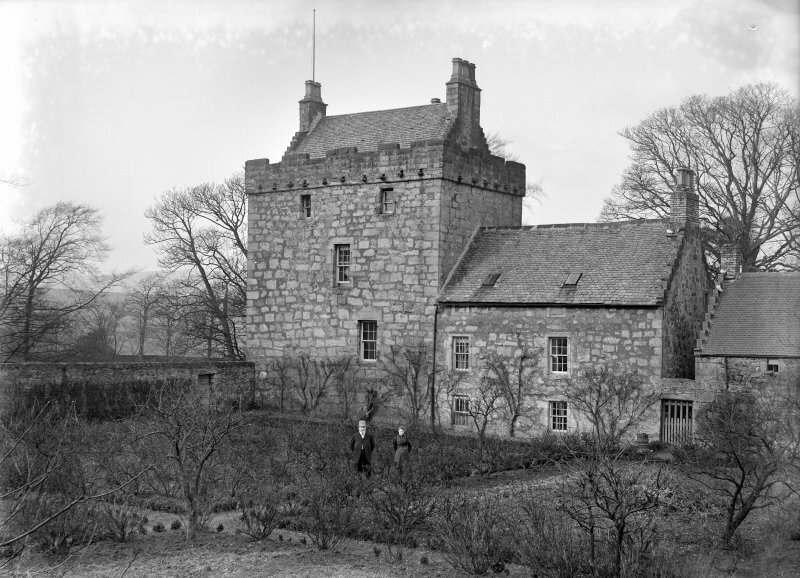 Work by Falkirk Museum prior to the installation of a new sewage system revealed a broad ditch, 7.5m wide, under the 17th-century extension to the tower house. The ditch had been deliberately filled in for the construction of this wing, and may have been contemporary with the original structure of 1485. 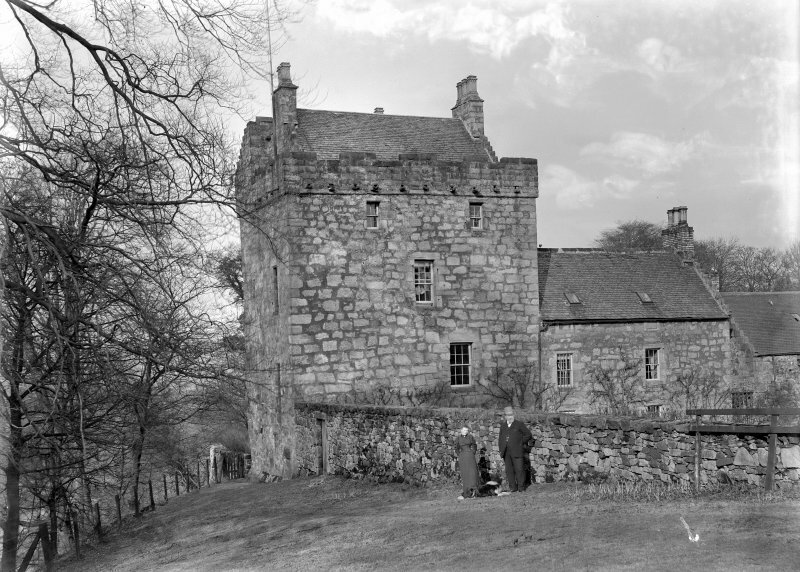 Photographic survey by the Scottish National Buildings Record/Ministry of Work in February 1958. NS 7870 7775 Topographic and earthwork surveys and an evaluation of the Castle Glen industrial area were undertaken from 17 May–20 December 2007, as part of the programme of works for the M80 Stepps to Haggs improvement scheme. 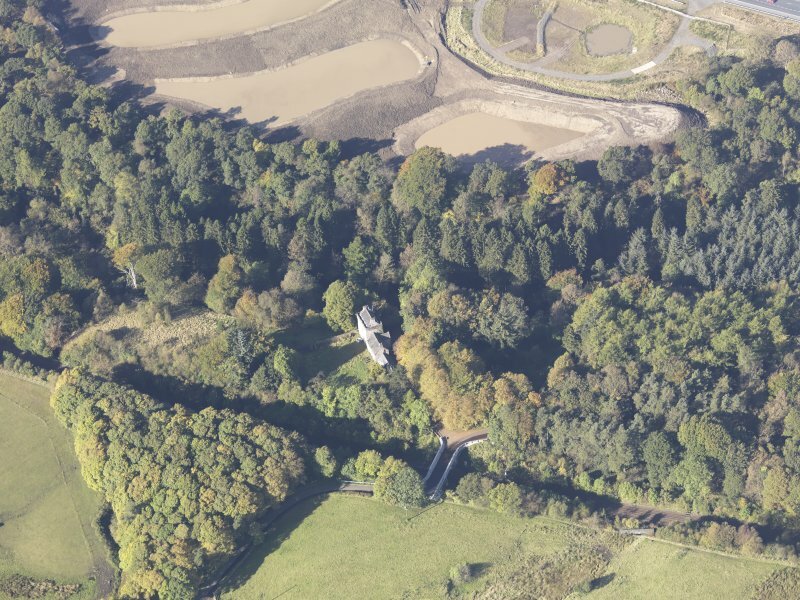 The Castle Glen area is part of a larger area of extensive industrial remains that survive throughout the Castlecary glen, including lime workings, quarrying and mining sites. Other probable contemporary features included banks, trackways, revetting and terracing. be two mounds of made ground, one associated with the construction of the A80 and the second probably associated with the construction of the river revetment. It was clear from the excavation that the landscape had been heavily impacted upon by modern development and the land had been sculpted.